Okay, so maybe not EVERYTHING on the list was productive . 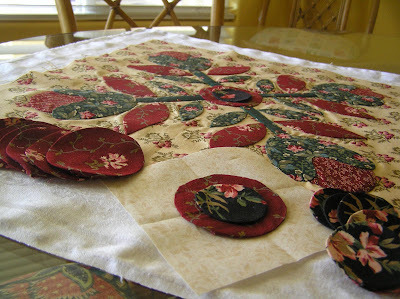 . .
. . .but finishing all the applique prep on this quilt was! YIPPEE!! Just when it seemed like it would never get done. I kept working on it because the alternative was going to the grocery store. Now it's time for some sewing!